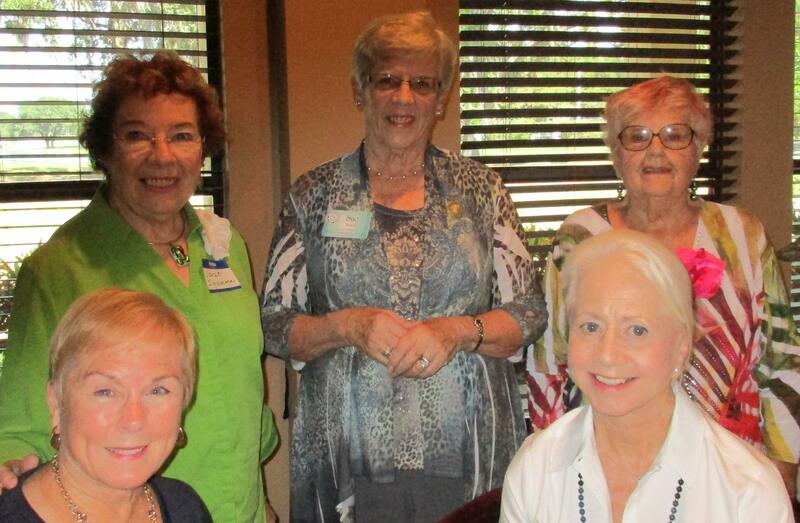 On Thursday, May 11th, we had a 2017-2019 officers’ installation luncheon/general meeting at the Orange Tree Golf Club. This is the first time our club has installed officers’ for a two year term instead of just a one year term. Our installing officer was our new District VII Director Sue Roberts. She gave an wonderful installation program which included giving flower corsages to all the incoming/continuing officers with colors representing their offices. After the installation and business meeting, we had a tasty buffet. At was a wonderfully social event and included 8 caladium plants as door prizes. In the front L to R: Member Ceme C. and Member Dayle B.. In the back L to R: Recording Sec. Janet S.. District VII Director Sue Roberts, and 1st VP Mary B.